The objective of this meeting is to bring together astronomers interested in all aspects of star formation, from local galactic to extreme extra-galactic high-z conditions. 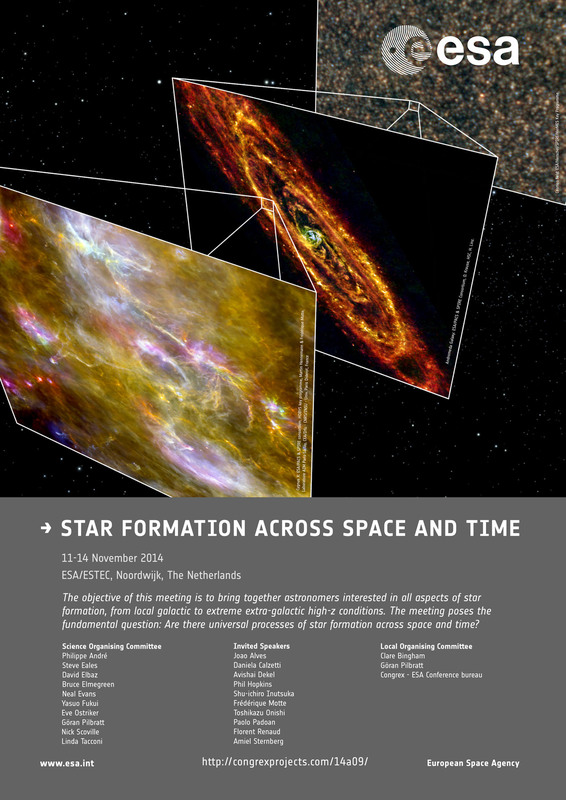 Recent advances on the subject suggest various communities can benefit from each other, and the meeting aims to facilitate cross-fertilization between researchers with different observational and theoretical backgrounds to further our understanding of star formation as observed across the spectrum. The meeting poses the fundamental question: Are there universal processes of star formation across space and time? Session 1: Where and how do stars form? Temperatures of Dust and Gas in the S140 High-mass Star-forming Region - Koumpia, E.